This is not like my usual posts. I will be (gasp!) waxing poetic about one of the most breathtaking books I have ever read. THE WRATH AND THE DAWN. 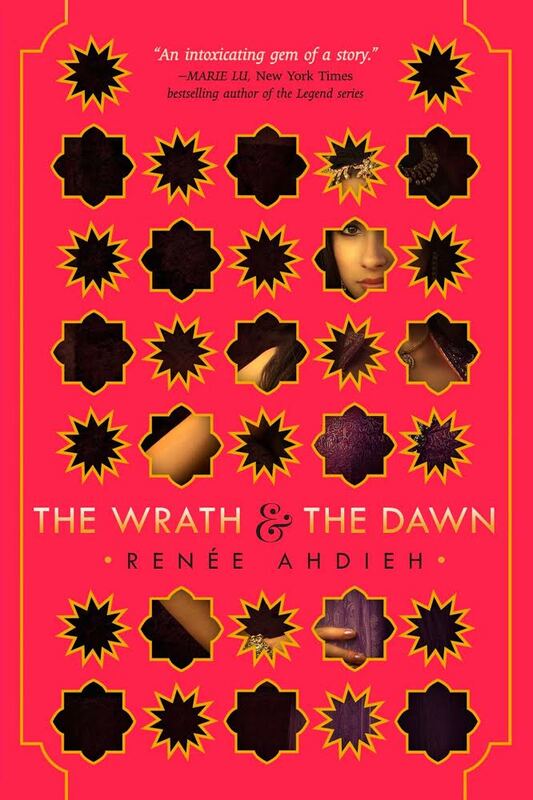 For over a year, I have tried to put into words what Renee Ahdieh‘s masterpiece of a book makes me feel. Books have different feels, different souls to them; this is common knowledge. But WRATH felt different in a way few books ever have. Reading THE WRATH AND THE DAWN can only be compared, in my mind, to being Icarus. This book lets you soar on wax wings. But more than that, it entices you ever closer to the sun. And why shouldn’t it? For all its danger, the beautiful, golden, burning fire in the sky is a tempting and alluring target. And the nearer you draw to the danger, the more you crave it. Somehow, your wax wings do not melt. Thus, inevitably, you will be burned. At times, WRATH burns open your heart and thrusts a hot ember inside. But not in the way that cripples you or dissuades you from flying again. In the way that hurts in the moment, but that makes you long for the next dawn’s golden light all the more. That is what THE WRATH AND THE DAWN offers you. Intense, burning, 24K golden light of the finest sort. Read this book, my friends. Dare to be Icarus. Dare to fly toward the sun.